Reckless Pursuit hit Amazon last week and it’s gotten some chatter…over 11,000 people saw the announcement on Facebook. Pretty exciting stuff. But we’re just getting started and you can help! HERE’S WHAT YOU CAN DO: If you’ve read Reckless Pursuit, click on this link – WRITE AN AMAZON REVIEW! It will take you to the book page of Amazon where you can rate Reckless Pursuit and write a quick review. It will only take 2 or 3 minutes and it will help to put this story of God’s relentless love in front of people who need to hear it. Thanks for helping to get the word out! 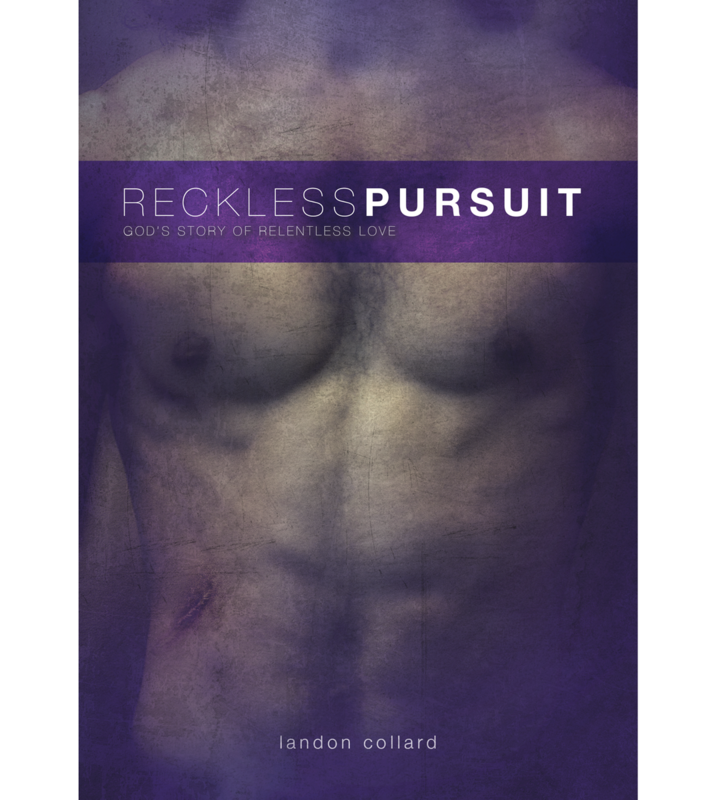 TAKE A LOOK: If you’re new to Reckless Pursuit, you can take a look at the Amazon author page at: amazon.com/author/landoncollard. If you have any thoughts or questions, let me know – I’d love to hear from you! You can reply back to this blog, message me on Facebook or email me directly at: landon@journeycs.org. I look forward to hearing from you. It’s been a year in the making but Reckless Pursuit: God’s Story of Relentless Love is now widely available! It can easily be found at Amazon.com and BarnesandNoble.com. You can also walk in and order it by name at your local brick and mortar bookstore. This past year, Reckless Pursuit‘s audience was limited to Journey Christian Community, our friends and people who discovered the book through Facebook. Today, we begin a great adventure. We can now begin to use this as a resource to share God’s reckless heart as seen through his pursuit of us. 1. Amazon Review – Jump on Amazon and help to spread the word by writing a quick book review. A few sentences of how the book impacted you and your recommendations can go a long way toward getting this story of God’s love in other people’s hands. 2. Share It – Let your friends know! 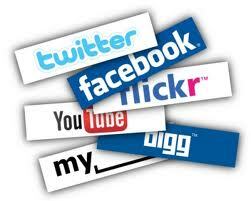 One of the most powerful influences we have access to is social media. What better way to use this influence than by sharing the unbelievable story of God? Share it on Facebook, LinkedIn, and everywhere you’re connected. 3. Like It – Join the Reckless Pursuit community! Go to the book’s website or to the book’s Facebook page and “like” the book. From there, we can share stories of God’s love changing our lives. 4. Hand It Off – Reckless Pursuit was written with our friends in mind. People who may not know the love of our God or who may have a skewed view of him because of their experience with religion. Grab a couple extra copies of the book and hand them off to your friends who need to see how crazy their Father is for them. At the first of February, I initiated a 40 day media fast. There were a lot of reasons for this. At Journey, we were in the middle of a several month vision discussion and I wanted to continue leading well. Kristen had started a new job and our family’s schedule was very full. And I had realized that my intentional one on one time with God wasn’t as consistent as I wanted it to be. In short, I felt the need to focus on God, draw close to him and quiet the distractions. As I thought through how to prioritize my connection with the Father, I began to take an honest look at my life. I realized that I had developed habits with how I use my time. I began to notice that so much of my free time, a moment here or 15 minutes there, was spent on my phone using media in some way or another. I found myself checking Facebook a dozen times a day or more. When I came home from work, I would hit my Cowboys app and check out all the latest news from Big D. I would check this blog to see how many people had visited that day. I would check Journey’s Facebook and Reckless Pursuit’s Facebook. I would jump over to my ESPN app and see what I had missed that day. On and on it would go. For years, I have arranged my life, reordered my schedule and even set up my office to prioritize people and relationships. It’s who I want to be and how I want to live. I felt like I was doing a fairly good job of that at work but I had begun to be less present at home – when I was off and could relax. I wasn’t engaging my family like I’d want to nor was I as connected with God as I needed to be. So…40 days in the wilderness here I came! 40 days of no media. No TV. No talk radio. No apps of the phone. No internet. The only things I allow myself were talking on the phone, texting and emailing for work. After I cut those things out, I decided to take back media for the good. I added in Air1 radio, because it feeds my heart and I built a 40 day Bible reading plan into the notes app on my phone. Every day, when I had a free moment – instead of pulling up the Cowboys or Facebook – I would grab my phone and read scripture. When I came home, I would put my phone away and be present. I played with my kids. Sat on the kitchen counter and talked with Kristen while she cooked. Started reading Reckless Pursuit to my family and played games with them. It was amazing how much time I felt like I got back! Everything wasn’t easy though. About 3 weeks in, there was struggle. I really wanted to just sit on the couch and relax – veg. I had gotten weary and longed for a break. For freedom from the discipline. The next week was hard. However, the last week or two of the fast was great. It was back to the earlier experience. I was present with my family and I was chasing God actively. As I write this, I’m finished with the media fast but have come to live a bit different. I check Facebook a couple of times a day and hit my Cowboys app once or twice as well. But I am present both with people and with God. I can’t wait to initiate something like this again! “Don’t resist an evil person! If you are slapped on the right check, turn the other, too. If you are ordered to court and your shirt is taken from you, give your coat, too. What was he thinking? Does he really understand what he’s asking us to do? What are the end results of a life like this? Do I really have to allow myself to be beat up to follow Jesus? Do I really have to freely give my stuff away, without resistance — even more — does he really expect me to give more than what they are trying to take from me or to serve more than what is being required by a person in authority over me? Do I really have to live this way? That’s what’s amazing about the way of Jesus! It doesn’t make any sense from the perspective of self-preservation. But that’s just it. That’s the complete wrong perspective. Jesus has invited us to follow him, which means that we live life like him. That we watch how he talked…how he interacted with people…how he touched the untouchable…how he loved the disgraced…how he accepted the prostitute…how he forgave those who were intent on killing him. We stand at the shadow of the cross and hear his words echoing, “Whoever wants to be my disciple must deny themselves take up their cross and follow me.” And from that vantage point, all rebuttals that Jesus was just talking rhetorically disappear. Here is a radical God that is recklessly demonstrating the depth of love he has for us. It’s a love that transforms us to the very core. So much so, that it becomes who we are. It becomes what we offer. And at this point, we stop asking, “Does he really want me to do this?” and we begin asking, “Who is the next person I can share this with?” And this sharing is so much less about what we say…it’s about who we are. It’s about being willing to die so someone else might live! Yeah, this is crazy – but what a beautiful way to live! It’s a picture that has been almost completely erased in our contemporary world. 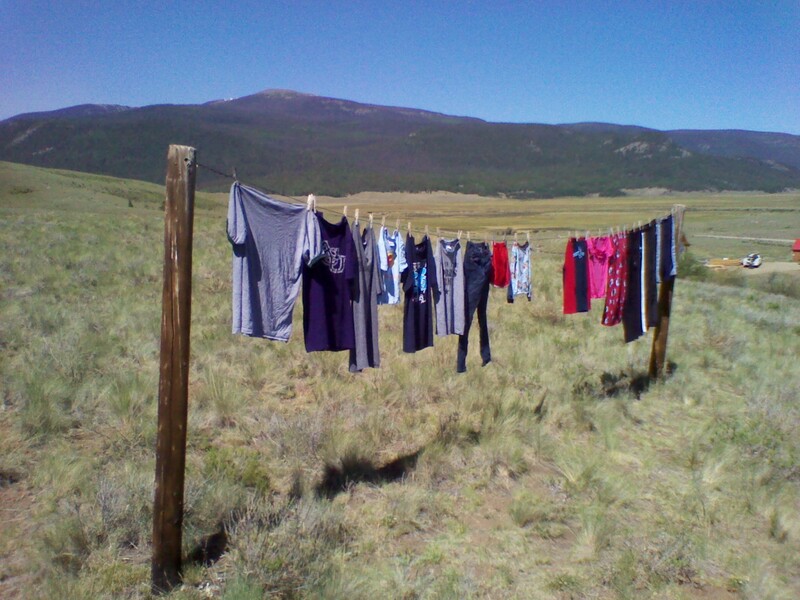 We live in a microwavable society and we don’t have time to wait for the wind to dry our clothes. We have instant access to nearly everything. If you want to know how tall Dirk Nowitzki is or even how to spell his name, just Google it (he’s 7′ tall by the way). If you want to know exactly how much longer before your kids get home, just text them. If you want to get the seven-day forecast or find out the latest breaking news in the world or sports, just hit the “News & Weather” app on your phone. I don’t need to go on. You know how small our world has gotten and how instantly everything comes to us. Even this blog is an example of this. I love much of this new era we are in. Staying connected to so many more people. Not having to watch the news but knowing what’s going on in the world. Not getting lost everytime I go somewhere new. But is there a price that we pay for this? Sometimes I long for the simple and less convenient. For moments of walking around with a cup of coffee in my hand, knowing that it will be another hour before my next task can be attempted, much less completed. Time to breathe. Time to think. Time to connect one on one with someone – not through a computer or in a text message but face to face. Where I can see the light in their eyes and the smirk on their face. But too many times, this is missed. We have so much opportunity for relationship in front of us and so often we settle for less. We share a polite, “How’s it going?” in passing or send someone a “poke” on facebook or add them as a friend but still find ourselves isolated and unknown. It is too easy for us to hurry from one important event to the next, forgetting the people the event is really about. And we accept surface relationships as normal. But…we were made for more! We were created to love and be loved deeply. To be known at every level and loved anyway – even in spite of the stuff we wish wasn’t there. We are shown a picture of this from the Father, as he takes our dirty laundry and incredibly makes it fresh again. And as he hangs it up dry, our shame of what once covered our stuff is now gone! I can look you in the eye and tell you of the old stains in my life with a smile on my face, having no thought of embarrassment because it’s not there anymore. When this is done, authentic relationship is developed, love is shared and the Father is made known. And when we hit a bump in the road and the coffee flies all over us, we can draw from this relationship and point back at the clothes line. 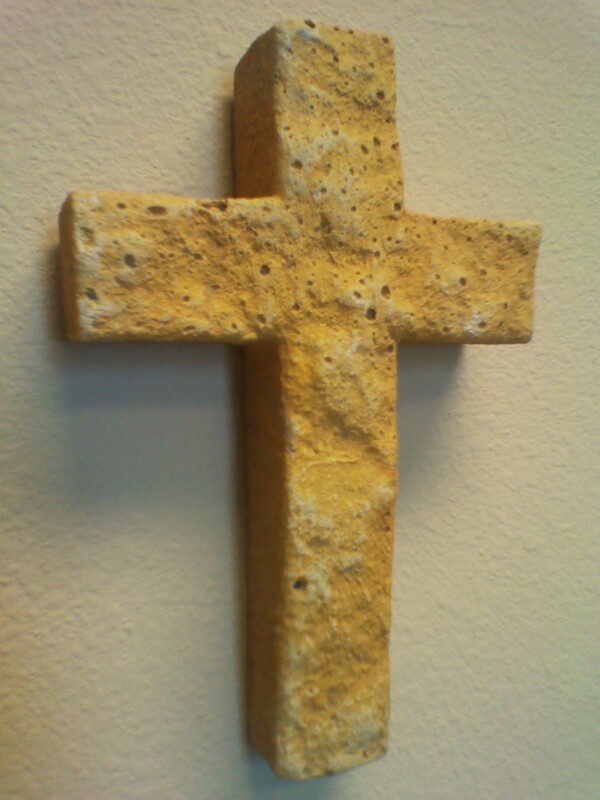 A reminder of the newness given by the Father in the past and the promise of what’s available to us now. So bring on the coffee and the conversation. Let’s share this life together. Don’t worry about the spills, I know a good cleaner! A year and a half ago, I led Journey Christian Community in Waco, TX through a teaching series entitled, “Yahweh’s Story.” It is an amazing story full of unbelievable love and indescribable heartache. It is the story that we all find ourselves in — but it is not our story. It’s the Father’s! Since the very beginning of this story, our Father has been after us. He has been pursuing us with reckless abandon. And we run. We follow the pattern of so many who have come before us and we run. We run because we are afraid. We run because we are ashamed. We run because we believe that something out there will ease our hearts. If only we would slow down long enough to take a look at the one chasing after us. We would see the face of a Father whose heart is breaking. We would hear the tenderness of his voice, pleading, “It’s OK! Come, let me hold you. You are my precious one.” You see, the Father is not in pursuit to accuse and destroy. In fact, quite the opposite! He pursues because he loves you radically and he will continue in his chase until the last chapter of his story is written. 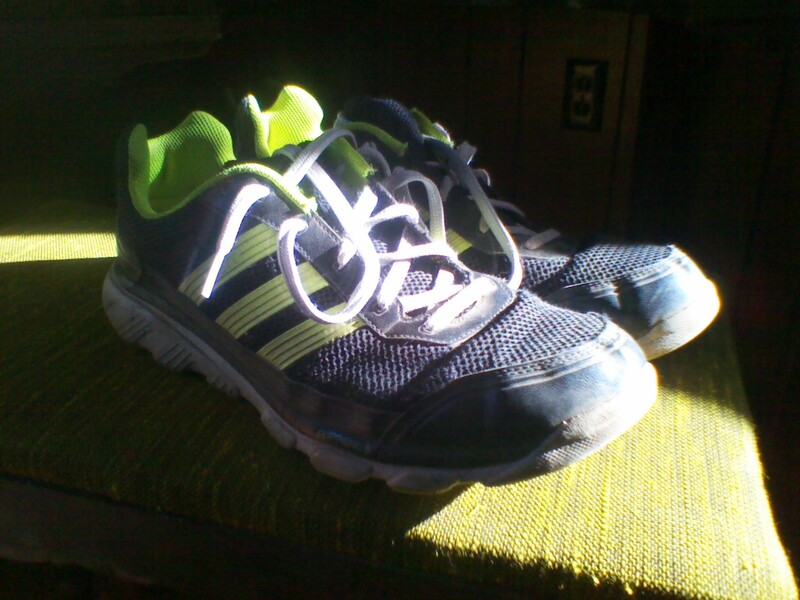 I, like most of us, am a runner. But I have been caught by the Father and have been overcome by his love for me. I still run but most days it is toward him. This blog and its posts are dedicated to discovering the Father’s pursuit of our hearts and the incredible life given to us as we live recklessly in his love. OK. It is finally time! After a year and a half of writing, speaking, revising and listening to feedback – it’s time to begin getting the word out about the book. Yes, I’ve written a book and if all goes well, it will be made available early this Fall! 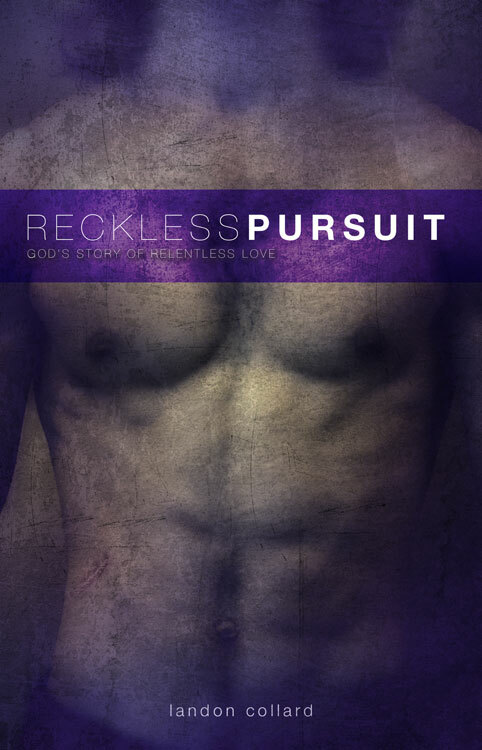 It’s entitled, Reckless Pursuit: God’s Story of Relentless Love. I can’t wait to share Reckless Pursuit with you! And I couldn’t be more excited about telling this story – the story of our Father’s relentless love of us! It is a love that changes everything. It has changed me to the core. And I know it will change you as well.